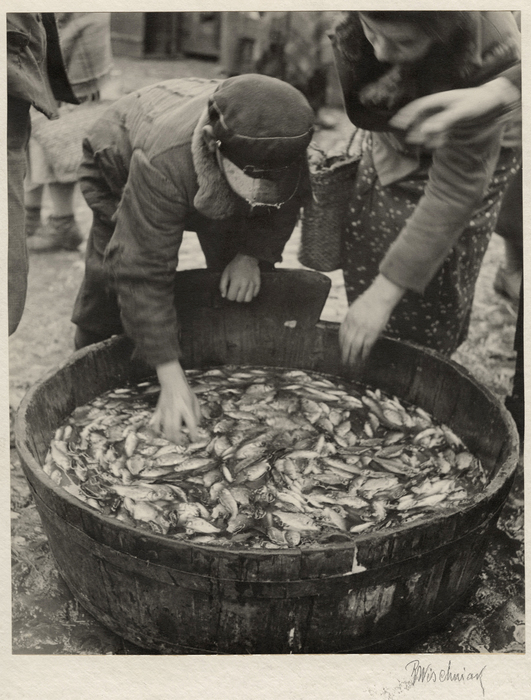 These rare vintage prints are part of a collection of sixteen recently discovered prints that comprised Vishniac’s first exhibition abroad, and were displayed in the New York office of the Jewish Joint Distribution Committee (JDC) in 1938. Vishniac developed these early prints in his apartment in Berlin, and they are rare early examples of his virtuosic skill as a master printmaker. He gifted all sixteen prints to an employee of the New York office of the JDC who had helped him to organize his first exhibit; these prints are on loan from his son.